Plans have been revealed to build the biggest Hotel in the Philippines – featuring 1,001 rooms – on the island of Boracay. In a statement issued this week, DoubleDragon Properties said the Hotel101 Resort-Boracay will have 1,001 rooms with the development covering two hectares. The project will be undertaken through a joint venture between DoubleDragon’s subsidiary Hotel of Asia and partner Newcoast South Beach Inc.
Hotel101 Resort-Boracay will be the fourth development under the Hotel101 brand, which aims to have a total of 5,000 hotel rooms in its portfolio by 2020. The proposals include commitments to environment-friendly practices and sustainable tourism. The hotel will be built on the beachfront cove of Boracay Newcoast, a 150-hectare tourism estate developed by Megaworld subsidiary Global-Estate Resorts. 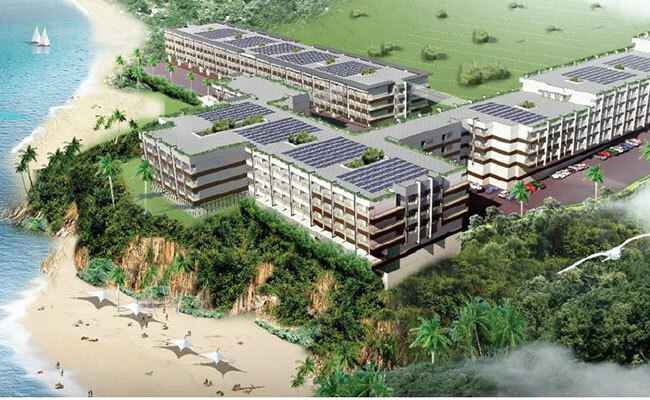 Enrique Gonzalez, chairman of Newcoast South Beach, said it would be the “biggest green hotel in the Philippines”. As well as luxury rooms and suites, the hotel will also feature shops and restaurants, a business centre, meeting rooms and function hall. Among the environmentally-friendly features will be the use of solar energy and rainwater harvesting. In December, we reported on plans by a Hong Kong-based firm to build a $500 million casino on the island. These plans have been met with concerns about over-development of the white-sand island. The post Plans for 1,001-room mega hotel on Boracay revealed appeared first on Philippines Lifestyle News.